The Academy’s Summer Program students enjoy a “once-in-a-lifetime experience” while training in the heart of film, television and theatre. The American Academy of Dramatic Arts, with its impressive 135-year history of teaching many of the most acclaimed actors in the world, has long been renowned for its Summer Programs. Jessica Chastain, Anne Hathaway, Adam Scott, Danny DeVito, Sarah Paulson and countless others have all had incredible success following their time spent at The Academy. Recent Summer Program alumni include Carmen Soo (Crazy Rich Asians, 2013 Seven-Week Program), Heidi Gardner (Saturday Night Live, 2017 Seven-Week Program) and Taprena Michelle Augustine (The Lion King National Tour, 2018 ENCORE Program). Director of Summer Programs, Jenn Smolos, instructs students in a vocal production class. 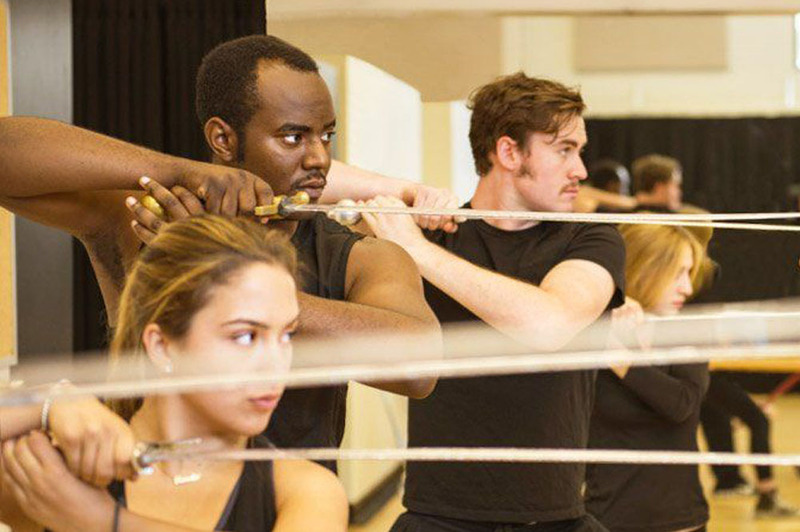 The Academy works to train its students in time-honored traditions and techniques, while at the same time adapting to reflect current opportunities and challenges for actors who wish to be competitive in the industry. Academy also provides students with the ability to customize their summer experience with exciting elective courses such as Camera Technique, Audition Monologues, The Business of Acting, Improvisation, Musical Theatre, Shakespeare, Stage Combat, Theatre Dance, Dialects, and Writing & Creating Your Own Work. For the Four-Week and Seven-Week Programs, students even have the option to split their program between our two campuses. This is ideal for students who want to experience what it is like to study in both Los Angeles and New York during one summer! Professional artist-faculty working closely with each and every student is a hallmark of your Academy summer experience. 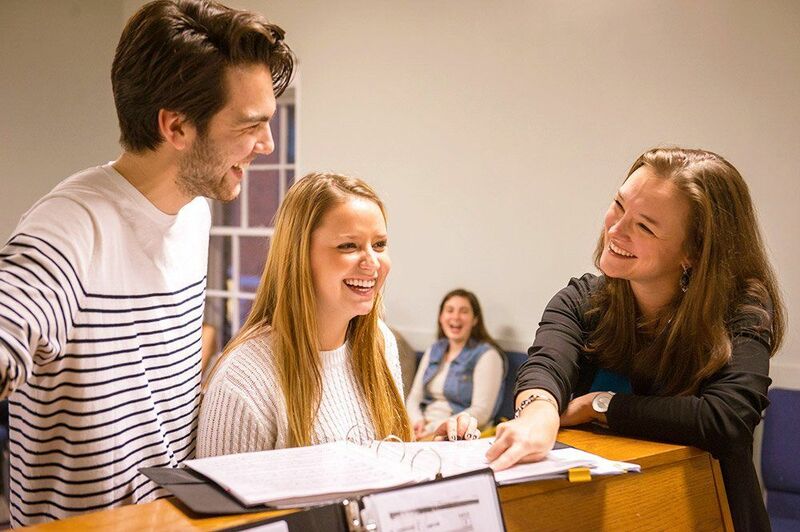 Summer Program students benefit from much of the same expertise and insights as the school’s two-year conservatory alumni receive. Watch Academy Summer faculty member and alum Joel Brady (Z, Boardwalk Empire, Law & Order) share invaluable insight from his On-Camera Technique class below. Joel has taught in both The Academy’s Summer Programs and the Two-Year Conservatory Program. Ultimately, Smolos says that she is most inspired by the growth of each student and by the collaboration and relationships that form during the summer sessions. And, The Academy’s Summer Programs in recent years have included an incredibly diverse range of students from the United Kingdom, Australia, South Africa, Nigeria, Singapore, India, Brazil, Argentina, Mexico, Spain, France, Germany, Ireland, Canada and all 50 states. When students meet and work with their peers and instructors in the very heart of the Film, TV and Theatre professions – New York and Los Angeles – those possibilities really do feel endless. Summer after summer, The Academy ensures that its students will train with a talented community of their peers in an intimate classroom environment, led by teaching artists with an unwavering passion for their craft. Studying in Los Angeles and New York allows for training with a faculty of working professionals, each of whom bring their own experience from the industry into the classroom. To learn more about The Academy's Summer Programs, click here.